If x is less than 3 then what is the value of x ? <---------- Question stem. Here they often give you not only the question, but also some information that can help you solve the problem. x is a prime number. <------------------------------------------Statement 1.
x + 3 equals the largest prime factor of 30<--------------- Statement 2. What data sufficiency questions are asking for is whether the information in the statements are enough to answer the initial question. This means, if you can give an exact number, say yes, or say no the answer sufficient. So here, we first look at statement one. If x is a prime number do you know the value of x ? As it turns out, you can say what value x is because in the question stem we are told that x < 3. Since the first prime number is the number "2", and the next prime number is "3" and since x < 3 we can say that x must equal 2. Since we can give an exact answer for x, statement 1 is sufficient. If we had found that x could equal 2 and some other number the statement would not be sufficient. Next we look at statement two. To start we need to know what prime factors are. If you don't know, don't worry. 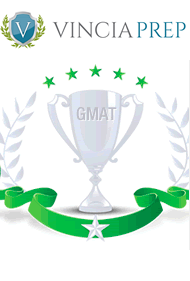 When you go through a strategy book or a gmat class it'll be explained. For now, just know that the prime factors of 30 are 2, 3, and 5. So the largest prime factor of 30 is 5.
x + 3 = 5. Therefore, x must equal 2. Thus, this statement is also sufficient. In our question we found that each statement was sufficient so the answer is D.
If statement 1 had been sufficient and statement 2 was not sufficient then answer would have been A. If statement 2 had been sufficient and statement 1 was not sufficent then the answer would have B. For statement 1 the response could be 2, 4, 6, etc... and for statement 2 the response could be 2, 3, 5, 7, 11 etc... Therefore, individually, each statement is not sufficent since they both have more than one possible value for x. However, if we take the two statements together, X = 2. Since we can find the answer if we use both statements, the correct answer choice is C.
Lastly, there are times when with all of the information in the question stem, and both statements we still can't find one exact answer. In these cases, the answer is E.